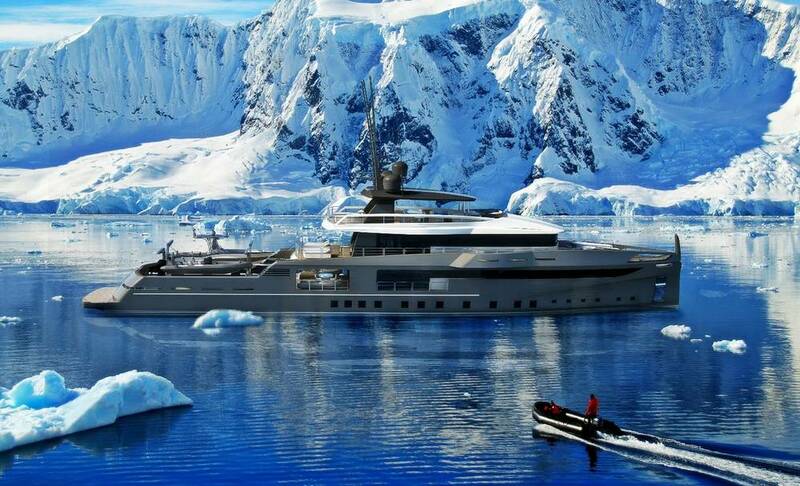 Explorer yachts are a special sub-category of luxury yachts, created for both pleasure and serious research missions. 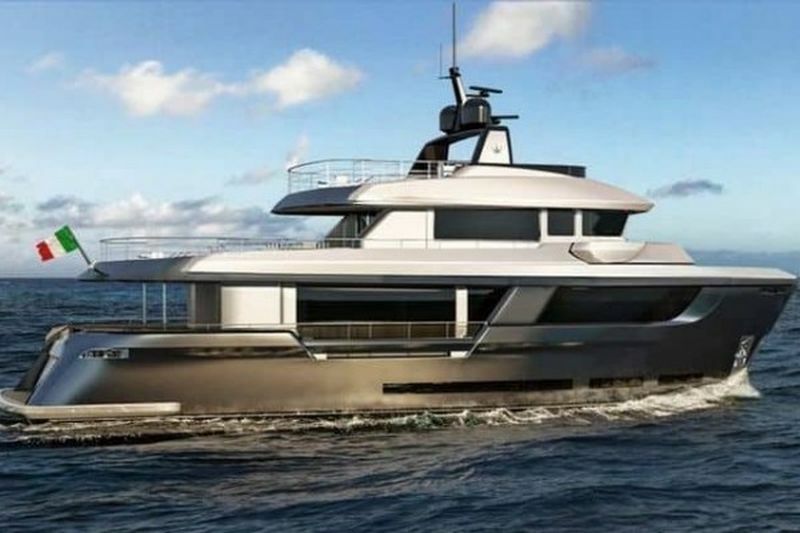 Most of the older models were converted trawlers, designed to withstand extreme weather and sea conditions, but lately, many renowned shipyards have their own designs and concepts. We present you some of the best we have seen. Designed by Kurt Strand, Aurora Borealis is a large vessel, equipped to deal with harsh Norwegian weather. Its length of 122 meters makes her one of the largest expedition yachts in the world. 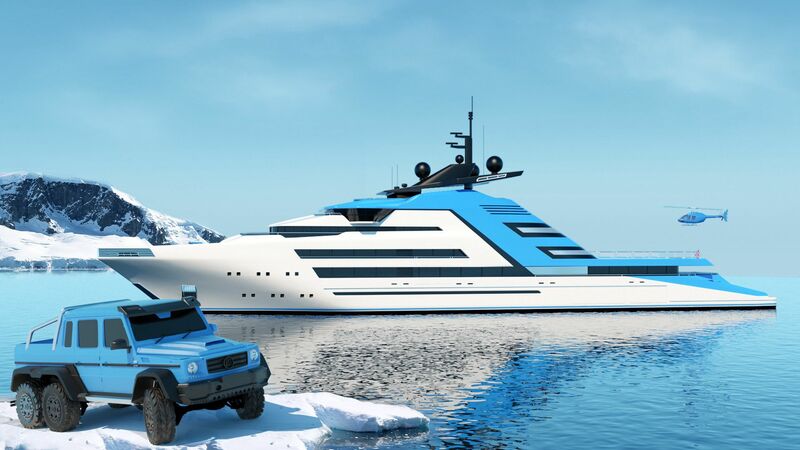 Combined with a 20-meter beam and a 6 stories height, it is big enough to accommodate two helicopters and various other toys needed for a polar expedition. 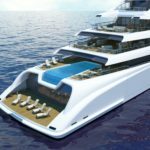 It also features a large swimming pool on the aft deck. 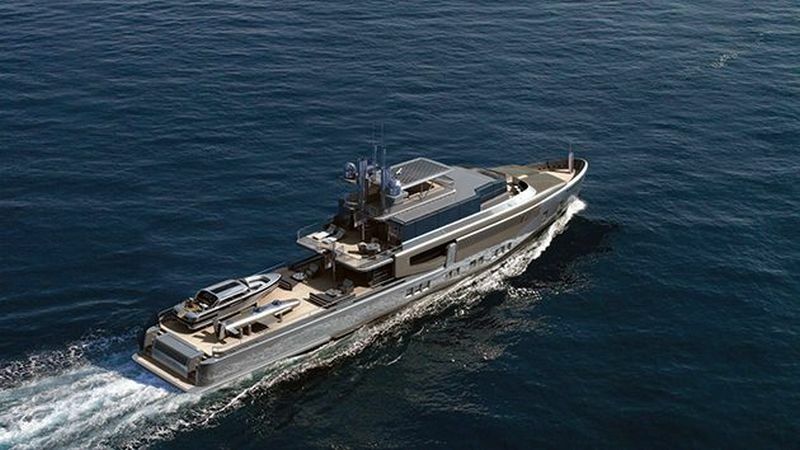 Ocea’s experience in building military ships shows heavily in their latest expedition yacht design Nemo 50 Ice. The yacht is designed to carry rigid and inflatable boats and landing crafts and specialized equipment to bring them back onboard. The ship’s hull is specially designed to be able to resist ice and other dangers that can be encountered in polar waters. 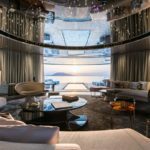 It is incredible what the designers have managed to cram into just 26 meters of length of Ocean King 88, basically creating a superyacht out of this small vessel. With four decks, there is enough space for everything, including a berth for a six-meter tender, various water toys, and even a crane. The engine room also doubles as a dive center and a fishing storage. Featuring a hull that is Polar b compliant, meaning it can resist many challenges it can meet in water, short of a torpedo or a naval mine, SeaXplorer 90 is a part of the series of ships designed by the Dutch shipbuilders Damen. With full stores, SeaXplorer can stay up to 40 days on the sea. 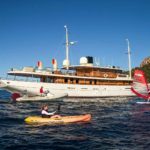 Designed by Ken Freivokh and built by the Italian shipyard Rossinavi, Argo is 48 meters long and designed for long expeditions. 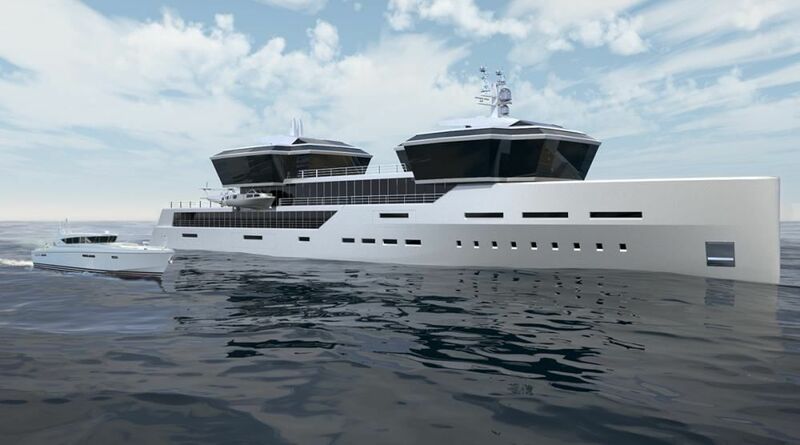 Its three-decked hull has enough space for a vast quantity of stores and it is an ideal vessel for a superyacht support ship. Tomahawk is another Italian product, designed by Marco Casali and built by Palumbo Group. 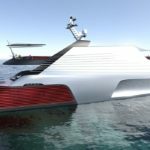 The yacht’s hull is being built in cooperation with Inseval, a company that specializes in making hulls for exploration ships. One of the most interesting features on Tomahawk is its aft-deck. It is usually used to store the vessel’s tender, but it can also be transformed into a basketball court or a swimming pool, in which case the crane can be used to hold a giant parasol, creating a shade. 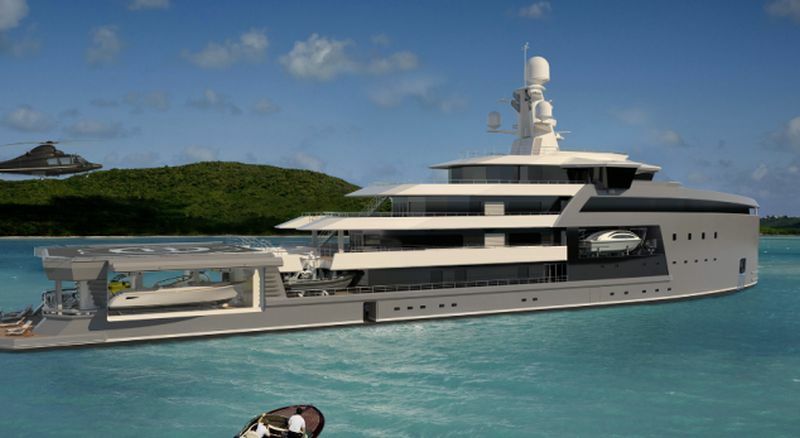 Icon Yacht shipyard has commissioned Sea Palace design from Motion Blue. 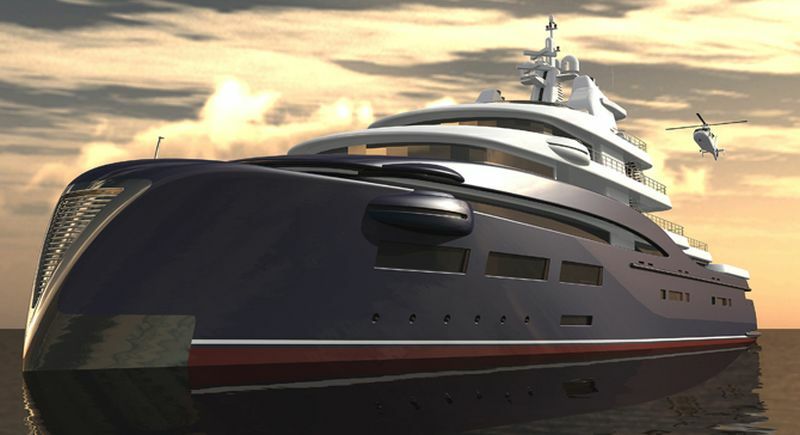 The 95-meter design is a sharp contrast from most of the other vessels on our list, featuring curved lines and soft transitions, whereas most of the expedition yachts are sharp and angular, giving them the appearance of a military vessel. In line with its luxurious design and the name, Sea Palace features many amenities, like a waterfall, an essential feature for any polar explorer. Sam Sorgiovanni’s design seems inspired by Captain Nemo’s Nautilus, with its reversed bow, something not usually found on luxury yachts. 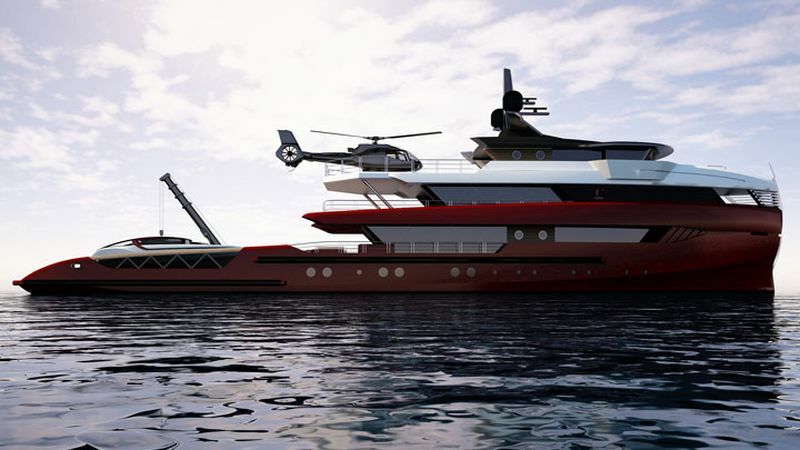 It features a retractable helipad, which hides a massive two stories garage for tenders and various water toys. Sogiovanni didn’t neglect the relaxing area on the upper deck, designing a swimming pool on the owner’s deck.